At Head Light, we talk about - and help customers get started with - succession planning and talent management each and every day. From these conversations we've been able to distil down the very clear key features of succession planning that make the difference between a structured and valuable talent management activity and one that simply never fulfils its potential. Follow our succession planning process steps. Perhaps the most obvious starting point. You need to decide which are the critical roles in your organisation for which you need one, or several successors in place. You will need to draw information from a number of activities here from reviewing your business strategy to surveying the talent market. You will also need to look beyond the obvious leadership roles - and consider the 'expert' roles you have. The next logical step is to 'identify the successors’. That is, those who may be capable of progressing into the identified critical role, who may be ready (within in a defined time frame) or who may be willing to move into the role. These are your high potentials - or HiPos. You will no doubt want to consider how you identify potential in your people - and the succession planning template that you will use to capture the key talent profile information. As part of this you will need to think about the target roles and the requisite knowledge, skills, behaviours, experience and competencies necessary for success. The determine the early markers of potential for success in these roles. That is, what could individuals reasonably show at earlier stages in their career that would indicate potential for the target, critical position. Increasingly, we are seeing that learning agility as being a characteristic that High Potentials or HiPos tend to possess. Once you have this in place, you'll need to develop an assessment process to determine who has these potential criteria. Entry into a talent pool is often accompanied by a structured development process. At this point you will want to show that those see as High Potential are developing the skills and competencies they need for their next role. 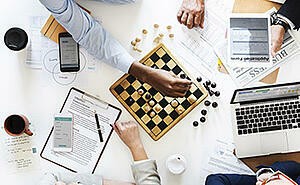 Skills gaps analysis can help in this - and you should check out your talent planning software The progress of these individuals then needs to be tracked. You'll need an effective HR metrics system needs to be in place in order to manage, administer and evaluate the effectiveness of succession planning activities. With the critical posts known, and your high potentials identified, you can now start to interrogate the data and begin to map out the succession plans. You can draw on the talent data you have gathered and interrogate this to give you answers to some of those difficult talent management and succession questions that might be posed to you. You'll be using a 9-Box Grid. Who are our high flight risk high people who have potential - and who themselves are successors for many people? Who could we promote internally that have the right combination of skills, experience and desire to lead? If we promote a certain person, are we leaving behind a post with no successor identified? What should be our L&D focus for developing our future leaders? Where’s the biggest risk to our People Plan? Who is mobile and happy to make a move to a new country? How up to date is my talent planning data? 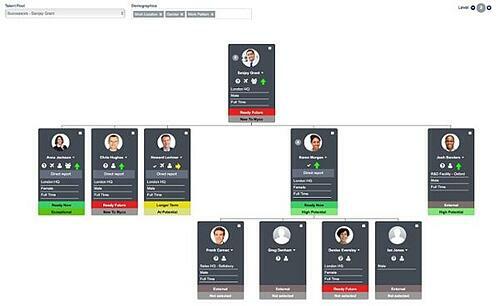 You may also want to take a look at succession plan software in action. These are the meetings in which the succession plan is reviewed and discussed. They are an essential component of your succession planning approach as it is in this meeting that up and coming vacancies are discussed, the readiness of those in the talent pool for making the next step in their career, and any gaps in the succession plan. Once you know the key features of succession planning, you may want to take a look at cloud-based succession software that is available to support you. Read more about how to get started with succession planning and when you're ready to look at succession planning best practices, request our eBook – The Ultimate Guide to Succession Planning and get in touch if you want to see some examples.